What do you do when your daughter’s been murdered—been stabbed to death—and now is lying cold and stiff in a morgue hundreds of miles away? Do you leave her there alone, or do you bring her home? How do you feel when the funeral is over and you’re watching her—beautiful, peaceful, but too still—disappear from view for the last time as the funeral director lowers and latches the lid of the coffin? Where was God when the murderer pushed his way into her home and attacked her? Where was He the year before, when, after praying about finding the right place, she moved to that neighborhood and chose that apartment? This book has three parts. In the first, Darold Bigger tells us the story of his daughter’s death and what he went through after it. This isn’t a view from a distance. Dr. Bigger lets us into his heart, lets us see what he was thinking and feeling, and how he finally found what he needed to carry on. The second part is an in-depth look at forgiveness. Why God requires us to forgive our enemies, what that means, and how we can do what He’s asked us to. The third part, much briefer than the first two, offers a rather unique—and helpful—look at love. The perspective it provides enables us to more easily love our enemies and forgive them. Darold Bigger, PhD, received his MDiv from Andrews University Theological Seminary in Michigan, and a PhD from Claremont School of Theology in California. 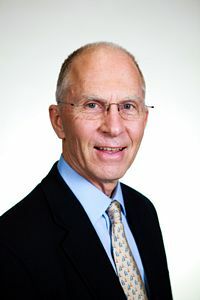 He served as senior pastor of the Walla Walla University Church, and in 1993, joined the faculty at Walla Walla University, where he is now assistant to the president and a professor of religion and social work. He teaches in the areas of theology, leadership, counseling, and spiritual development. Dr. Bigger served as a reserve component chaplain and was promoted to the rank of rear admiral (lower half). At his retirement, he received the US Navy’s highest noncombat award, the Distinguished Service Medal. He and his wife, Barbara, have two children—Shannon (deceased) and Hilary, and two certified adorable grandchildren. A powerful read filled with hope and insights about the God of all comfort. From beginning to end, this book is filled with powerful insights regarding the way in which God shows up and reveals Himself in the midst of loss and suffering and how freeing the power of forgiveness is. As a hospital chaplain, this book has helped me gain deeper insights in how to be present with those who are suffering. My soul has been deeply blessed by reading this book.